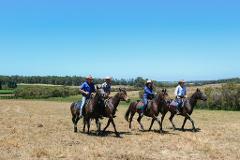 1 Hour horse ride through premium Margaret River çountryside and along the winding bush tracks. An ideal ride for family and friendship groups! 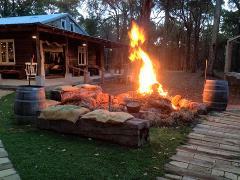 Join us for a magnificent 1.5hour late afternoon tour, through the surrounding forests and bushland. 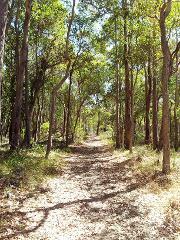 A 2 hour ride across surrounding farmland and into the Rapids Conservation Park and Margaret River Forest areas. 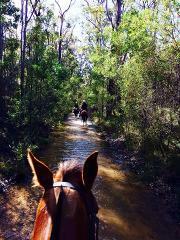 Relaxing one hour ride through the Rosa Brook Bushlands. Absolutely perfect for young children (6years and over) and beginner adult riders. The ride is taken at a walking pace only , so it's ideal if the rider is a little nervous. 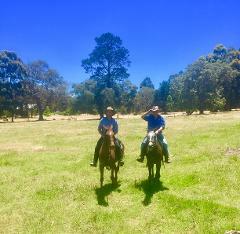 A fun 1.5hour horse ride out across farmland and through stands of native bushland. There is some trotting involved and often cantering as well, dependent upon ability. Of course you have the option to go at a walking pace as well!